A Catholic blog from Gloucestershire, in the English diocese of Clifton. For quite some time I have been unable to get into my blog, but with my husband's help the problem is now solved, and here I am again. Are you 18-40, do you want to deepen your knowledge of the Catholic faith, learn its devotions and meet like minded people? Young Catholic Adults are organizing a weekend at Douai Abbey in Berkshire) with Lawrence Lew O.P., and Canon Poucin ICKSP. You’ll be able to hear catechetical talks, learn how to sing Gregorian Chant, say the Rosary, socialize and have fun. Book soon as places are limited! All Masses are in the Old Rite. For some reason, I can't attach any links. If you Google Young Catholic Adults you will find all the guidance you need on how to book, together with updates and general information. Fr Simon Henry has reported on his blog, Offerimus Tibi Domine, the sad news that the Franciscan Retreat Centre in Pantasaph, North Wales, is to close on 15th December. The Friary's announcement is here. The Young Catholic Adults are holding their annual weekend from 20 to 22 October 2017, at Douai Abbey in Berkshire. For information and booking, please follow this link. I am sad that Fra’ Cristoforo’s blog, Anonimi della Croce, has ceased to exist. I thought the letter he posted near the end, said to be from a German priest and spiritual counsellor to the former Pope Benedict XVI, was very interesting, though not a clincher, as it were. Some bloggers suspected that he and his confrère, Finan di Lindisfarne, were agents of the Vatican. I didn’t share that impression. I worried on some occasions that the things they revealed were planted, with a view to flushing them out. I was going through the contents of my memory stick this afternoon, and discovered that the prayer was still there. I have given it another tweak or two, and I thought you might like to read it. On this day, when we meditate upon Your Passion, it comes into my mind how many times I too have denied You; how many times I too have run away, as the Apostles did; how many times my heart has remained closed against Your Love. And today I see how much You have loved me, Lord! I see it in Your Cross! I see it in the insults and spitting which You took in place of me. And through it all You did not protest. You were silent. For me. I see how great my sin is, every day; how great my wretchedness is. But at the same time, I see how immense is Your love for me. I beg You, my Lord, bestow upon me just one Grace: help me never to doubt Your Love for me. Nothing else matters to me, except to have You. And to love You. I know my love for You is a small thing, Lord. Very small. Too small. I do not even know if I love You as You would wish. But the important thing is that You know. Do not abandon me. I do not wish for anything else but You. Because You are my only reward. And this is my one joy. In my heart is born the springtime of Your Presence in me. And the scent of the flowers drives out the pain from me. Thank You, my Lord. Forgive me. I am Yours. And I want to die as Yours. And when I meet You, after my death, I want to embrace You. And weep on Your breast. And beg Your forgiveness. Because the joy that You give has no equal. I no longer have anything. I have You. I have everything. Our dear blogging comrade, Fr Eamonn Whelan, has announced via a final post on his EFPastoremeritus2 blog that he does not have long to live. Please join me in offering prayers for him in this sad but beautiful phase of his earthly life. I have just finished reading, and signing, the text of the Declaration of Fidelity to the Church’s Unchangeable Teaching on Marriage and to Her Uninterrupted Discipline. It was a long read, but worth every minute of the time spent. It gathers into one document a wealth of extracts from Scripture and from the teaching documents of the Church. It reads like an Encyclical from a good, holy, Catholic Pope. It is astonishing in its power. I am conscious of having been nourished with God’s truth. May I urge you to read the Declaration, and to sign it. Rorate Caeli has the full Declaration, and the link to enable you to sign. I have received the following and am very happy to pass it on. Are you 18-40, do you want to deepen your knowledge of the Catholic faith, learn its devotions and meet like minded people? Young Catholic Adults are organizing a weekend at Douai Abbey in Berkshire) led by Fr. Thomas Crean O.P. You’ll be able to hear catechetical talks, learn how to sing Gregorian Chant, say the Rosary, socialize and have fun. Book soon as places are limited! This weekend has been going for over 10 years, it is a unique experience, which brings the Catholic faith to a new generation! For some reason I can't attach the links that were included, The best I can do is to refer you to the news item on the YCA website. It says there that prices start at £18.50. No idea why that is. If you go, I'm sure you'll have a wonderful time. … when I was drawn into a vivid contemplation of the scene. 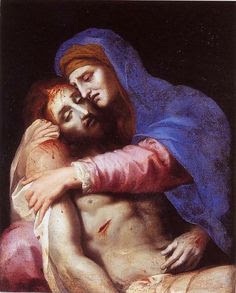 I thought of Our Lady cradling His dear Body, the intensity of her emotion really unimaginable. But the thing that struck me particularly was that she would have been covered with His blood, on her face and hands and garments. Some of it would have been the congealed blood from His scourging, some from His crown of thorns; and, in addition, she of the pierced heart foretold by Simeon so many years before, would have received onto her clothing the water and blood that had flowed from the pierced Heart of her Son. And then, I could picture stress and haste overtaking that little party of mourners. They must be back at their lodgings before the start of the Sabbath. I could see them hurrying away. Every one of them would have the marks of Christ’s blood, including the women because of their physical closeness to Mary, if not from touching the Body themselves. John, Nicodemus and Joseph must have been very much marked with it. It occurred to me, almost as an aside, and yet not: What happened to Our Lady’s bloodstained clothes? Because of their contact with a dead body, they would have been ritually unclean for seven days, and therefore unable to observe the Passover. If they were bound by the ruling in Numbers, Chapter 19, they would have been obliged to observe it a month later. And, my goodness, their uncleanness, both ritual and literal, would have been evident to everyone who saw them on their way. Well, after all that, I had shed many tears; as I have now, in writing it down, and as I did last night when recording the experience in my diary. I don’t write much on my blog in these strange days ( I think you know what I mean), but I thought I would share these thoughts. God bless you, my kind readers, and I wish you a very happy Easter. Because it all comes right in the end. Picture from www.pinterest.com, via Google Images. Today, the first day of the month, is the day to join in with Catholic Action's Operation Storm Heaven. Or, as I like to think of it, the day for praying Cardinal Burke's chaplet. Found in the Temple: A Thoughtless Scamp? This was not the escapade of a young imp. That would be an earthbound lesson to draw from the episode. I don’t even think it was one lesson among others. Something far more momentous was happening. Jesus was “about” twelve years old at the time of the visit to Jerusalem. He might have celebrated His bar-mitzvah ceremony, or have been about to celebrate it. I go along with the idea that the party travelled in separate male and female groups. A boy of His age could well have been expected to accompany either group. 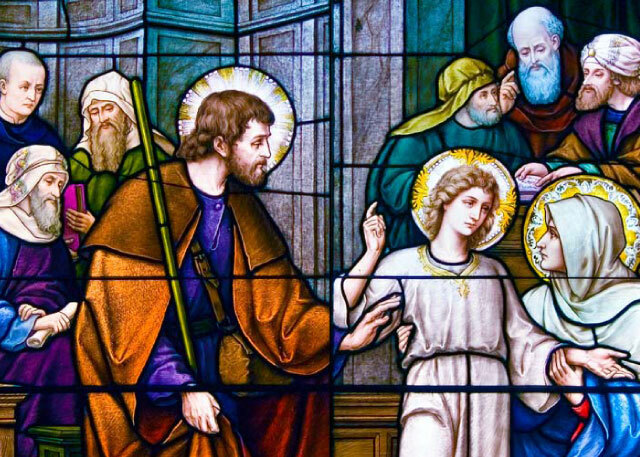 After their frantic search, Mary and Joseph must have derived some small comfort from the fact that He was in the safety of the Temple, and in such erudite and kindly company. Nonetheless, Mary did her duty as a loving mother, telling her Son about the distress she and Joseph had experienced, and asking the reason why He had done such a thing to them. And in response she and Joseph received, not an apology, but a challenge. He was to challenge individuals later on, in His public life. Think of the Syrophoenician woman who asked Him to free her daughter from an unclean spirit, and He spoke of house-dogs. They seemed harsh words of rebuff, but they brought forth a response of faith and trust that gladdened His heart and led to the longed-for healing of her daughter, and to the gladdening of her own heart. And so, with gentle but utterly strange words, He challenged his dear ones: Did you not know that I must be about my Father’s business, in My Father’s house? These were not the defiant words of a stubborn, wayward child to his parents. They sounded like the words of One Who had authority. Imagine the astonishment in the minds of Mary and Joseph, the shiver of sensing that they were once again, after so many quiet, domestic years, in the presence of the Numinous. Most astoundingly, this twelve-year-old boy revealed that He knew Who He was … and Who His Father was. In bringing up this precious Child, Mary and Joseph would surely have told Jesus nothing unless they had been given permission to do so. They would have waited upon the Lord for guidance, as they had done from the beginning. What a strange feeling must have gone like a bolt through the heart of Joseph! I sometimes connect this scene with the words of John the Baptist: He must increase, but I must decrease. Loving husband and foster-father that he was, did he experience a similar thought? Please excuse the scrappiness of this post. I just wanted to gather together a few things that have been said by Pope Francis, or have been reported as having been said by him. I have capitalised the words which struck me as troublesome. I don't want to state it more strongly than that. At the meeting, Rorate has learned, THE HOLY FATHER, QUOTING LOYOLA, † TOLD THE FRIARS THAT IF THE POPE SAYS THAT BLACK IS WHITE THEN WE SHOULD BELIEVE THAT IT IS WHITE. † … the reference is exact and obviously is that of the Spiritual Exercises, in which Saint Ignatius says, in the 13th rule of true sentiment in the Church Militant: "To be right in everything, we ought always to hold that the white which I see, is black, if the Hierarchical Church so decides it." … the extent to which an abbreviated process of judgment might put the principle of the indissolubility of marriage at risk, did not escape me [writes Pope Francis – ed. ]: thus, I have desired that, in such cases the Bishop himself shall be constituted judge, WHO, BY FORCE OF HIS PASTORAL OFFICE IS WITH PETER THE GREATEST GUARANTOR OF CATHOLIC UNITY IN FAITH AND IN DISCIPLINE. But how will the bishops or eparchs, most of all in large dioceses, be able to guarantee, at least in part and as a sign, their role as shepherds and judges? What is important is that the spirit of collegiality and communion among bishops under obedience to the Pontiff, begins to permeate the hearts and minds of the shepherds. The faithful are waiting with eagerness and love for such a metànoia and will nonetheless be patient in the Lord when faced with the good faith of their shepherds. The Jubilee Year of Mercy expects this sign of humble obedience (on the part of the Churches’ shepherds) TO THE SPIRIT WHO SPEAKS TO THEM THROUGH FRANCIS. Incidentally, I dare say many of you will already be following Ed Peters’s Canon Law blog. If not, I urge you to do so. Here is a taster on the subject of the Motu Proprio. Ma come potranno i vescovi, o gli eparchi, soprattutto nelle grandi diocesi, assicurare, almeno in parte e come segno, questo loro compito di pastori giudici? Ciò che importa è che lo spirito di collegialità e comunione dei vescovi con quanto disposto dal Pontefice inizi a permeare il cuore e la mente dei pastori. I fedeli attendono con ansia e amore tale metànoia e saranno comunque pazienti nel Signore davanti alla buona fede dei loro pastori. L’anno del giubileo della misericordia attende questo segno di umile obbedienza da parte dei pastori delle Chiese allo Spirito che parla loro attraverso Francesco. Will this be a Synod at all? So, there is to be no general discussion at the October 2015 Synod. I thought general discussion by those attending was an inherent part of a Synod. Will this in fact be a Synod at all? The small discussion groups will in effect be mini-synods. There will be no mid-proceedings report following these group discussions, and no subsequent general discussion. There will simply be a final address by Pope Francis. He alone will have received the results of the mini-synods. None of the bishops attending will know the outcome of any group’s discussion except that of his own, apart from what he can glean in personal conversations. None of them will know how accurately the Pope’s address represents the group discussions. The question is: will fists be thumped onto desks in sufficient numbers, or with sufficient force, to prompt a hasty change of plan and the concession of a general discussion? In such an event the bishops will surely have to be given all the group reports, as raw data, and will each have to be granted the time to wade through them. Considering the reception of the mid-term report at the 2014 Synod, raw data would inspire more confidence. But it all depends on those fists on desks. … at Aylesford Priory, Kent. Please note that the booking deadline is 18th September. I have pasted the text below. At the time of writing, I note that the YCA home page refers to the weekend as being at Douai Abbey. Nonetheless, everything else on the YCA site refers to its being at Aylesford Priory. Being of a nervous disposition, I’m slightly worried that you may end up in the wrong county. I’d be inclined to make absolutely sure that it’s Aylesford in Kent, and NOT Douai in Berkshire. 2015 Theme: “One day, through the Rosary and the Scapular, Our Lady will save the world.”Attributed to Saint Dominic. Set in the heart of Kent, England, The Friars - Aylesford Priory - is an ancient religious house of the Order of Carmelites dating back to the 13th Century. Over the centuries and now today The Friars has become the destination for thousands of visitors. Fr. Gregory Pearson and noted author Donel Foley will be giving talks. *Please note Aylesford Priory have a booking deadline of 18th September, otherwise they reserve the right to release rooms for sale to other guests as required. Also they do not allow last minute refunds so any non-arrivals and/or cancellations made up to 3 days before the event will be non-refundable. In further news about the Portsmouth appointment, Fr Serafino used to teach at a certain very successful seminary in Rome and has brought 7 seminarians with him along with a house of sisters of that same institute who will also be resident in Gosport. The prayers and material donations of all who would like to support these friars and sisters would, I am sure, be greatly appreciated. Prayers for Bishop Egan too please - that St Michael would protect him in this courageous step. Even before I read Deacon Augustine’s comment, Fr Lanzetta’s name had rung a bell with me. I tracked down a few posts, some in Italian, dating from the first year or so of the travails of the Franciscans of the Immaculate. 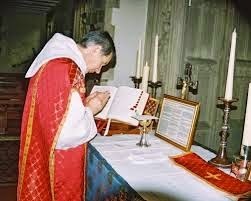 As many of us know, the order was noted, among other things, for its growing love for the traditional form of the Mass. It also appears to have been distinguished by the quality of its spiritual care and by the theological calibre of certain prominent FFI priests. Fr Lanzetta is one such. During the distressing period of restrictions and closures, he was transferred from Florence to Kitzbühel. According to one post on the subject, his German-language skills at that time were thought to be insufficient for the confessional. I dare say they were polished up pretty smartly. And now, he is to serve on the south coast of England! I imagine this arrangement predates the recent appointment of a new Commissar and two co-adjutors, all experts in Canon Law, following the recent death of the first Commissar, Fr Volpi. If not, the powers that be must have moved very swiftly. This is a real coup for Bishop Egan of Portsmouth, a blessing for his flock, and a fascinating and (I hope) optimistic development in the saga of the FFI. How Many Paths to Salvation? 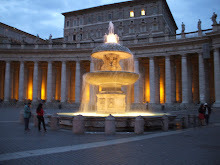 I read this post on Chiesa e Postconcilio, on 18th May 2015. After making a rough translation, I put it aside, thinking that perhaps Francesca Romana might translate it for publication on Rorate Caeli, but I don’t recall seeing it there. At the end of a few rather chaotic weeks on the domestic front, I have now taken some time to polish my translation to the point where I think it is fit to be seen. It is a partial translation. I have omitted some paragraphs where indicated, and I think this helps to focus on the central message for the purposes of my post, which is that in the matter of who is to be saved, the Church has to do Her explicit, Christ-given duty, and leave the unknowns to God. I think Don Giorgio says it marvellously well, and I hope you agree. Don Giorgio Ghio. How Many Paths to Salvation? On hearing certain talks about non-Christian religions, one comes inevitably to ask oneself if the person speaking still believes in Christ as the unique Saviour of the world. Certainly, no one dares to deny it in an explicit and direct manner; the problem arises when one asks oneself by what ways Jesus saves men. According to a fundamental dogma of Catholic teaching, the way to reach salvation is faith in Him, which leads to Baptism; the Holy Gospel affirms this (cf Mt 28:19-20; Mk 16:15-16; Jn 3:3) and, in obedience to the divine Master, the Church has always taught thus, starting from the Apostles (cf Acts 2:38). Such a truth obviously presupposes the unavoidable obligation to announce to all men the salvation granted by God in His incarnate Son, dead and risen, with the consequent call to convert oneself to Him, abandoning false beliefs and changing one’s life. That which the Bride of Christ has always done in almost two millennia is certainly not proselytism, but a supreme expression of the same charity which the Bridegroom communicates to Her. Nevertheless, right through from the middle of the last century to the present, on the basis of a vague but repeated mention in Vatican II (cf Lumen Gentium 16; Gaudium et Spes 22; Ad Gentes 7), people allow themselves to maintain that God would habitually save men even outside the visible confines of the Church; thus, not only has missionary activity ended up in a dramatic crisis, but a good part of the faithful have lost the sense, and the necessity, of their own membership of the mystical Body, of a worthy and frequent reception of the Sacraments and of an active faith, lived in the observance of the Commandments and in the practice of the evangelical virtues. This is indeed one of those cases in which a small crack provokes a collapse of gigantic proportions. In whatever manner it began, and leaving aside its catastrophic consequences, the idea that is now universally diffused and accepted, to the point of having become a species of new unquestionable dogma, has no foundation, either scriptural, or traditional, or magisterial. In reality, what has been revealed to us is that “unless a man be born of water and the Spirit, he cannot enter into the Kingdom of God” (Jn 3:5). Even supposing that this is only the ordinary way of salvation and that God, in order not to let innumerable souls be lost, has arranged purely hypothetical extraordinary ways, we know absolutely nothing about them. For the sake of intellectual and spiritual honesty we must recognise that, in divine Revelation, no trace can be found of these ways, while the command to evangelise the nations is affirmed in an absolutely unequivocal manner, in theory and in practice. If the risen Lord has not said a word about the eventual possibility of coming into contact with the paschal Mystery without an explicit faith in Him, and without fully belonging to the Church, but has peremptorily enjoined Her to preach and baptise to make these things possible, it has been precisely because this problem is not our business: how can one be saved who, through no fault of his own, does not know the Gospel … it is his own business; in any case, we have the duty of announcing it to him. The person who then ventures to say that the other religions would be ordinary paths to salvation just as much as ours is, has evidently lost the very notion of Christian salvation, that which is revealed in the New Testament as a transcendent reality. A crass heresy such as this also sweeps away, at one single stroke, both the dogma of original sin and the necessity of the Redemption achieved by the Word incarnate with His death on the Cross. 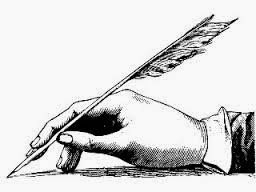 Missionaries’ writings overflow with men transformed into birds or snakes, the walking dead, very powerful witch-doctors … reduced to powerlessness by the one holy name of Jesus. There will be only one reason, with all due deference to the desk-based theorists of inculturation and of interreligious dialogue to the bitter end: where Christ advances, the devil retreats. Now that the first is no longer preached, the second roams about, undisturbed, thanks to the theories of these “theologians” and “shepherds” who have taken the flock into exile. However, let him who wishes to be saved know that there is an infallible way, provided that he decides to enter upon it: it is the unique way, the way of all time. Seeing that we have known it for two thousand years, it would be truly foolish not to make it known also to him. Very sad news from Young Catholic Adults. My husband and I have attended this Mass nearly every month, for a few years now. YCA report that "The weekly Saturday Low Mass continues, for the moment; however, it should be noted that it no longer appears on the official weekly notices (although it remains on the main Prinknash website)." My warmest thanks and prayerful good wishes to Father Damian, for all the care and kindness he has shown to his First Sunday congregation. Photograph of Fr Damian from prinknashabbey.org, via Google Images. 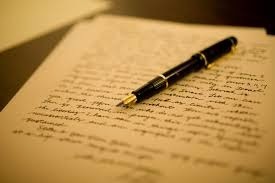 This letter is going the rounds of the Catholic blogosphere, and I am happy to encourage my readers to sign it. I have linked here to Ttony’s post on The Muniment Room, but my own signature has been added by email to Mark Lambert, after seeing his post on his blog, De Omnibus Dubitandum Est. There is a certain exhilaration to be experienced in doing what one can in these grim times. I was very impressed to see the names of priests of Clifton Diocese among the signatories to a fine letter affirming the teaching of Christ’s Church on marriage. Among them were priests of my own deanery – a special delight. Cardinal Nichols of Westminster appears to have issued a response. It contains what looks remarkably like a warning to the signatories. His take on the matter is not entirely surprising. Laurence England, author of the splendid blog That The Bones You Have Crushed May Thrill, has written this piece for The Guild of Blessed Titus Brandsma, courteously but effectively chewing the Cardinal’s words into little pieces. I warmly encourage my readers to add their names to this petition that has been started, for laypeople to show their support for the priests. The silencing of Deacon Nick Donnelly’s blog, Protect the Pope, has left us without his interesting updates on the doings of A Call to Action (ACTA). Here, to feed our hunger, is a fascinating account from the Archdiocese of Liverpool, brought to us via the News/Blog page of Alan and Angeline’s estimable website, Torch of the Faith. It appears that ACTA are, to put it colloquially, up to all sorts! And in one of my former parishes, too! I warmly recommend Alan and Angeline’s wonderful apostolate, and their regularly updated news blog, and I invite my readers to add Torch of the Faith to their list of frequent must-visit sites. Would you be very kind and say a prayer for the repose of the soul of my mother-in-law? She died this morning, at the age of 100.